Ajahn Ganha : A Nephew of Ajahn Chah ? Does anyone know about the teaching method of Ajahn Ganha who is a nephew of Ajahn Chah? A highly regarded dhammayuth nikaya monk in Thailand and has many disciples of his own right. He had been continuing thudong during six months each year and his disciples are vegetarian. His disciples of Wat Dhammaram have published two little booklets named Manasikaradhamma and ... . He has practiced under ajahn chah for some period of time. Does anyone know about his teaching method ? Is it similar to ajahn chah's or different? Are there any special characteristics of his teachings ? 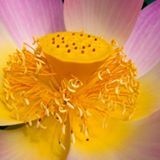 Re: Ajahn Ganha : A Nephew of Ajahn Chah ? In Thailand it is the custom to refer to each other as uncle, grandfather, nephew, auntie, etc. Ajahn Ganha who is known for his metta practice is actually not related to Aj Chah by blood. Are these not saying about a blood relationship ?? A noted disciple of Luang Por Chah who is gaining respect in his own right as a teacher is his nephew, Ven. Ajahn Gunhah. I can't be certain but this was what was told to me by a bhikkhu disciple of Ajahn Ganha who stayed with him for 5 years. It is possible that misinformation is spread when one website copies the info from another. I can't be certain but this was what was told to me by a bhikkhu disciple of Ajahn Ganha who stayed with him for 5 years. Yes, a bhikkhu disciple who stayed with him for 5 years is more trustworthy than a website. And thank you for the information. May you receive more dhamma information you need ! I wonder how they are able to eat vegetarian? I've heard that in Thailand, the lay devotees who prepare and give food to the monks are almost all omnivores and provide mostly non-vegetarian foods. But the book found on this site is may be the only instruction book of him. I have that thought too, especially if they are doing Thudong, they can't pick and choose what they eat. I have read about them somewhere not only as vegetarian but also as caffeine-less.